Store the current node in an array, say Path and maintain the length say pathLength. check if you are at leaf node (both the left and right child of parent will be null). If not then keep traversing by making recursive calls to root.left and root.right. 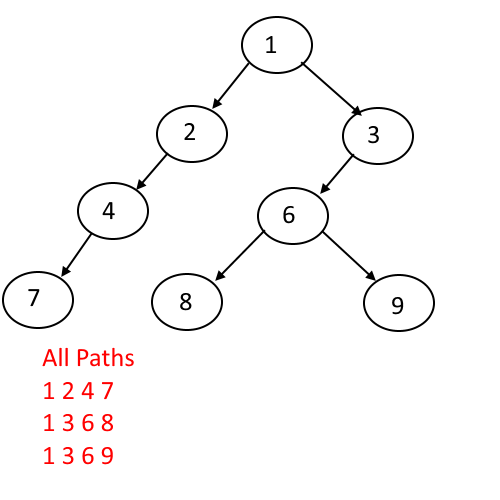 Pass the path and pathLen as parameter so that at each level have its own copy of path and and its length. If you hit the leaf node then print the array. 230 queries in 0.127 seconds.